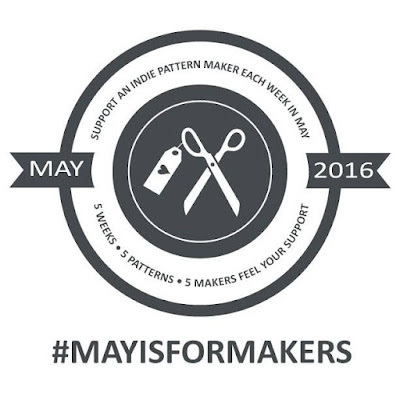 I am joining the May is for Makers campaign started by Lindsey from LR Stitched. She is challenging us to buy one pattern each of the 5 weeks in May from indie pattern maker. I love the idea of supporting the little guy, and helping those trying to build a business around the craft that they love! So I pledge to purchase 5 patterns this month from indie pattern makers. I already have a good idea of who I am going to support, and look forward to sharing my purchases with you. If you have any suggestions for me, I would love to hear them! (ad) This weekend you can find top kits and supplies for your craft at BIG savings on Craftsy. Explore fresh picks from your favorite brands and designers, and enjoy exceptional prices. But don't wait –– just like spring, this offer won't last long. Deal ends Sunday! I have my eye on a couple of project bags that would be perfect for getting organized! 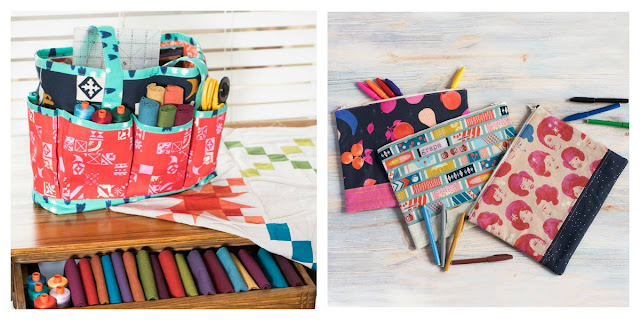 This project tote with all of the pockets is exactly what I need for taking supplies to HMQG sew-ins, and you can never have too many zippy pouches so the kit for these zipper clutches is on my list too! 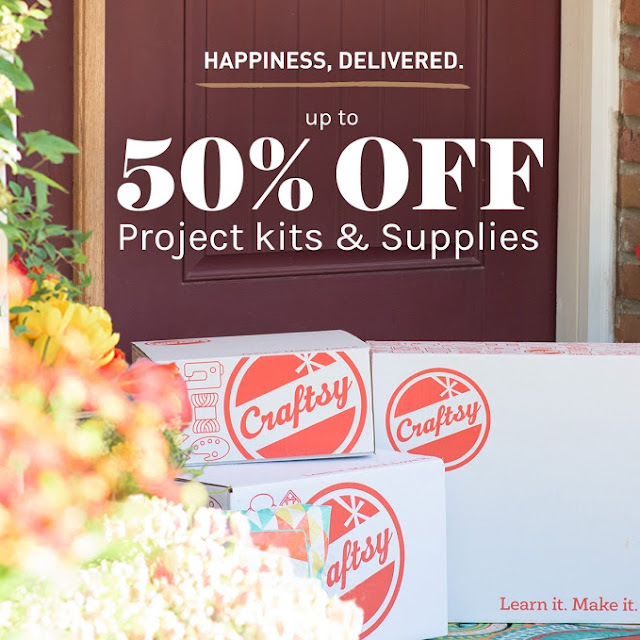 As much as I want to go crazy during this sale, I am still trying to #sewmystash so I'll be good and only splurge a little. Now that I have finally gotten the energy to sew back I have been busy! I've been working my way through my Q2 Finish-A-Long list trying to get everything knocked out. I've finished and shipped my May the 4th Star Wars swap, and I finished the binding on my Heart Quilt! 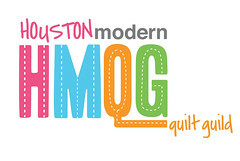 Now I'm working on finishing the shirt, and another new project I started at the Houston Modern Quilt Guild sew-in last weekend. William's shirt just needs the pearl snaps attached and it's done! I couldn't decide between the colors I ordered from Snap Source, so I asked him and his vote was orange. Figured I'd let him choose, since it's his shirt :) The fabric is from the collection Luna Sol for Windham Fabrics, and it's designed by my friend Felice Regina! We're in the HMQG together, and she is one of the most talented people I know. 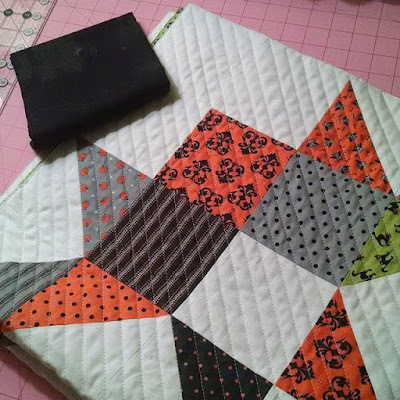 I started this quilt at the HMQG sew-in last Saturday, and I am already almost finished binding it. It's only a 32x32" baby quilt and I used 2 charm packs, so it stitched up super quickly! Since we don't know if we're having a boy or a girl yet, I decided a Halloween baby quilt will be perfect since he or she is due in October. So I mostly failed for my Q1 list. I did finish my niece Cordelia's quilt, and her crib sheets but they didn't get a blog post because I had to mail them off to Pennsylvania before I could post. But I was sidelined by the fact that baby #2, due in October, wanted me to be sick for weeks! I found out right before going to QuiltCon that Jeff and I were having another baby, and it wasn't until mid to late March that I started feeling better. 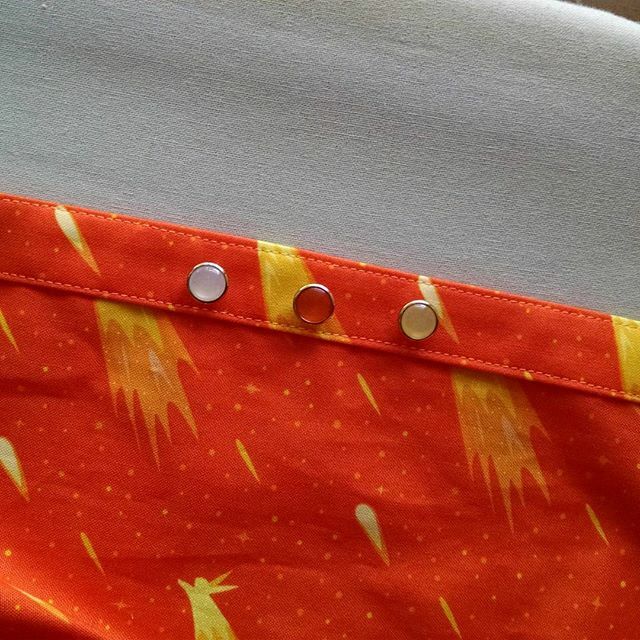 As of this week I finally started sewing again! I missed it so much! My Q2 list is going to be a bit more conservative because for the entire second half on May I will be out of town. First I'll be at Quilt Market in Salt Lake City, and then I'm flying to Pennsylvania to meet up with my parents and William to visit my brother. Then we're driving back to Texas! Thankfully that means my lovely machine can go to the spa for a good cleaning. All of these project are already in various states of progress, so it should be a good place to work off of. Here's to hoping baby #2 doesn't make me sick anymore!